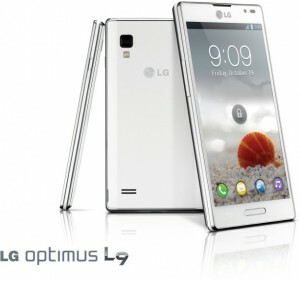 The company LG has announced the availability of smartphone line L-Style – LG Optimus L9. This is one the high end specs smartphone of LG. This LG Optimus L9 model uses a 4.7-inch touch screen display based on a matrix IPS, which has a resolution 960 x 540 points. At the core level, the smartphone has used the processor with two cores running at 1 GHz. The amount of RAM is 1 GB, and built-in flash memory – only 4 GB. However, the capacity of internal storage can be expanded with memory cards microSD. The operating system in the smartphone LG Optimus L9 using is Android 4.0 (Ice Cream Sandwich). In addition to the operating system, this model offers a number of original features. QuickMemo function allows instant recording and write over web pages, photos, videos, and other content and share them with friends via SMS / MMS, Email, or on social networks. Function QTranslator translate words, sentences and phrases, scanning from 44 to 64 languages. My Style Keypad feature offers improved keyboard layout that adapts to any style set, be it with one hand (left or right), or both. This was all regarding this new LG Optimus L9 Android ICS smartphone which will be available in November.